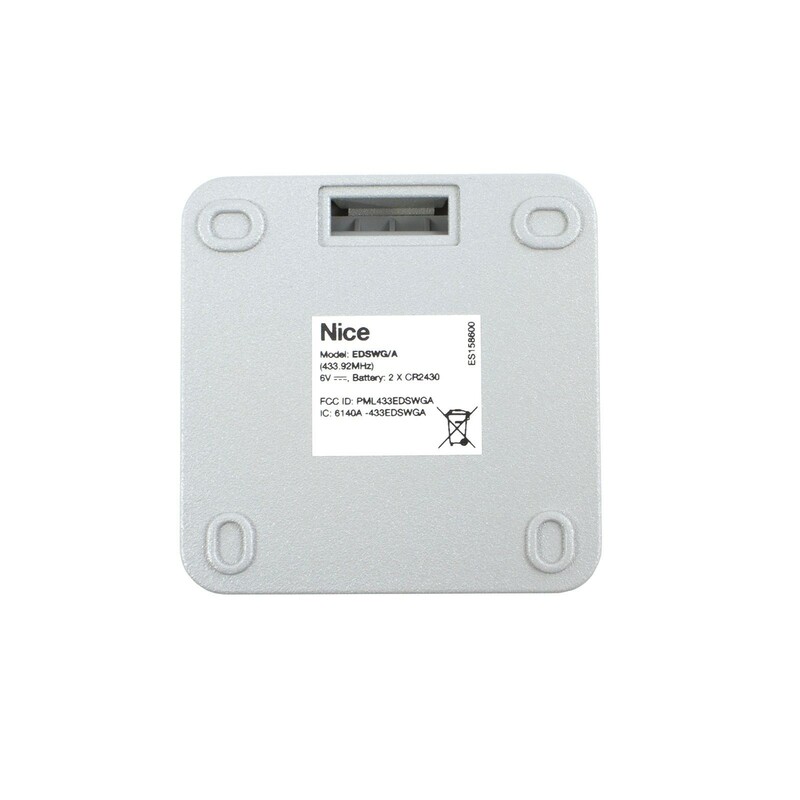 The Nice Apollo EDSWG/A Wireless Keypad is a battery-powered, 100% wireless keypad that is compatible with FLOX2R, OXI/A and SMXI/A Nice Apollo receivers. Keypad will hold 2 unique codes (up to 8 digits each). 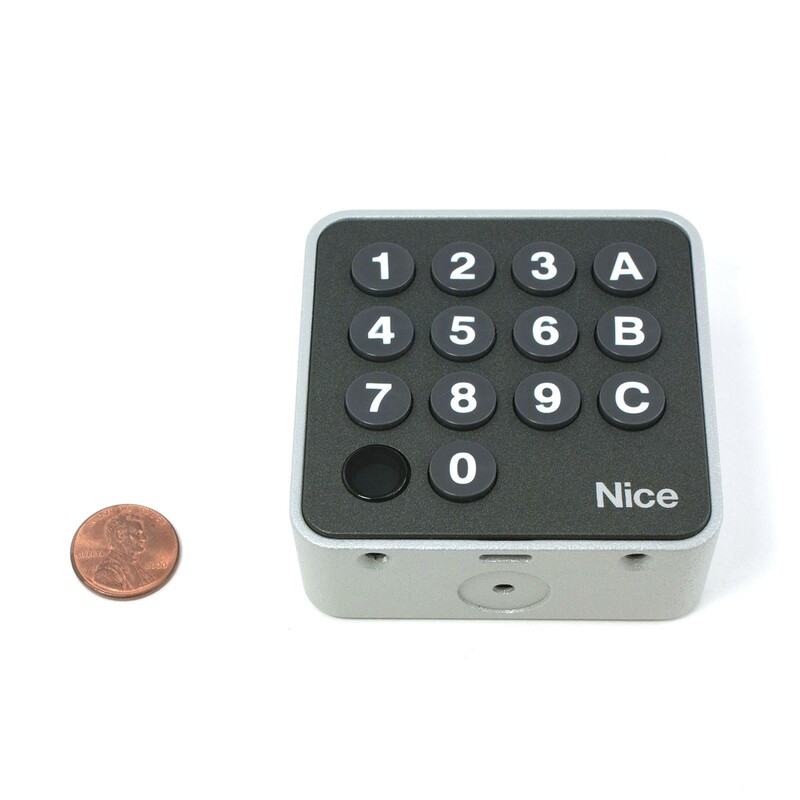 The Nice Apollo EDSWG/A is a battery-powered, 100% wireless keypad intended for use with Apollo Swing, Slide, & Barrier Gate Operators. It allows for easy programming of 2 different codes (3 when using plug-in style receiver [OXI/A or SMXI/A]), each up to 8 digits long. When used with plug-in receiver and 1050 control board, each access code can be programmed for different radio channels/functions. 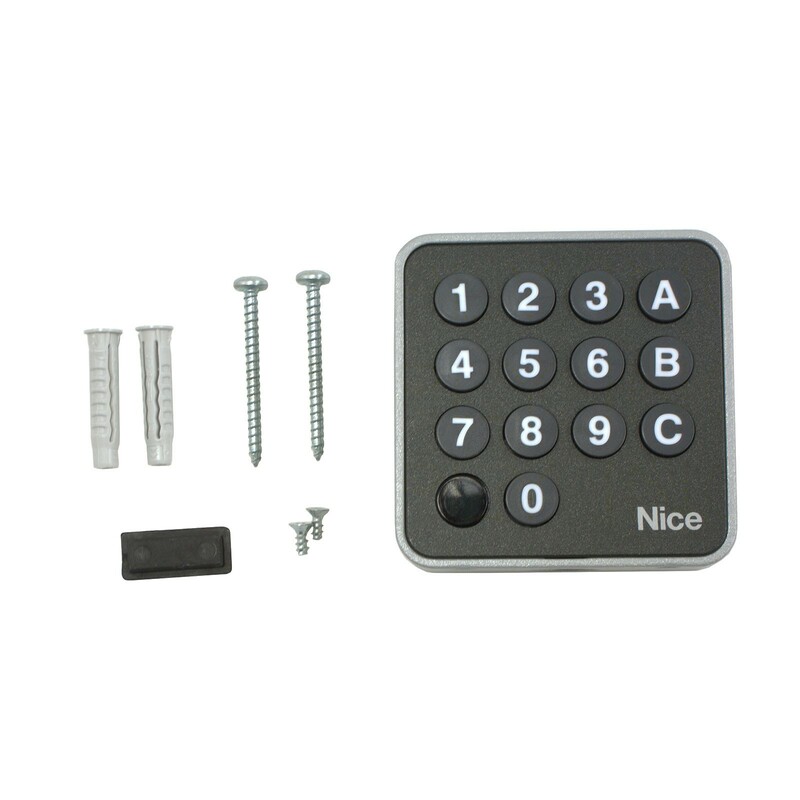 The Apollo EDSWG/A is built to last and satisfy all of digital keypad needs. Three unique channels - each with unique access code (2 when using FLOX2R receiver). Only compatible with Nice Apollo receivers. Extremely strong metal casing, measuring only 27 millimeters in depth. Acoustic tones when numbers are entered. 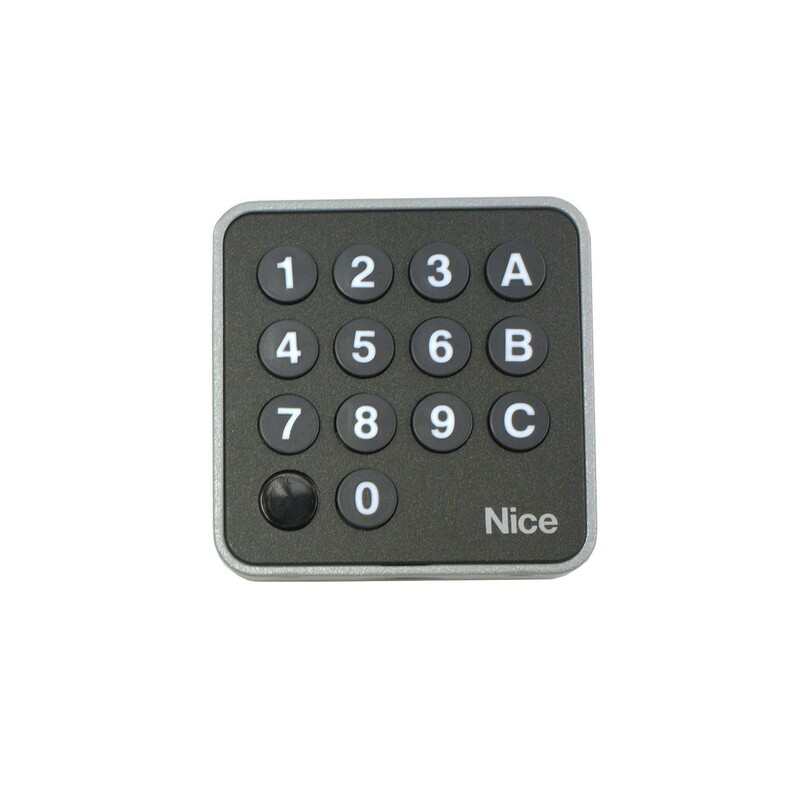 The backlit keypad display makes for perfect use even in areas with little or no light. Note: If forgotten, access codes cannot be reset. 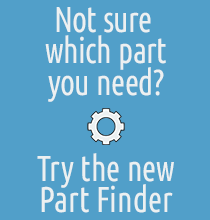 You will need to contact technical support for assistance.